All of this week’s free games create some surprisingly gorgeous scenes using fairly simple graphics. From stunning composition to well used filters to just plain great use of art and style, all of these games are very pretty and very, very cheap. 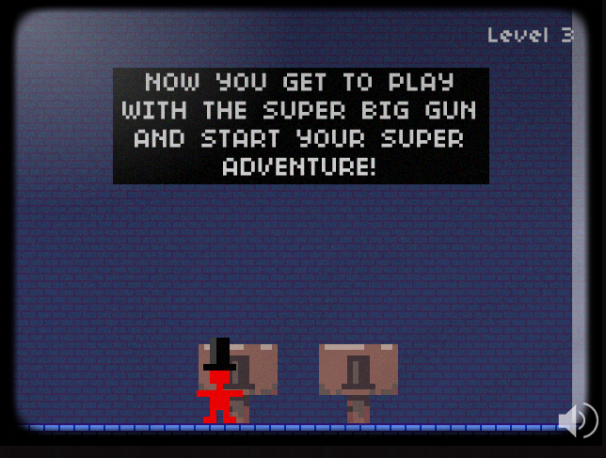 Super Big Gun Adventure is a gentlemanly adventure about a stick figure with a very posh hat and a super big gun. It's so big, in fact, that you can use it not just to kill your foes but to fly around levels like you’re wielding your own personal jetpack. It’s as much fun as it sounds. Personal Trip to the Moon is not quite as much fun as it sounds, but it’s a smart and sweet little art game about a very personal trip to the moon. It’s also a gorgeous game (especially given it’s low-rez flash graphics), and its short (you’ll probably play through it in a half hour or less) story hides a lot of depth. We Were You is part of Soundplay, an experiment by gaming site Kill Screen and the music blog Pitchfork that brings together musicians and game designers to make short games based on some of today’s most interesting bands. 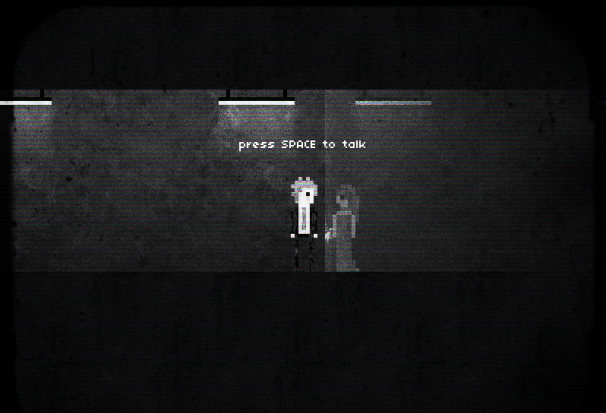 While a few Soundplay experiments have been revealed already, We Were You is my favorite thus far. 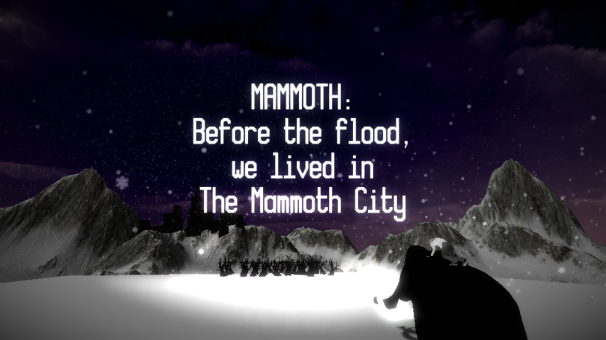 A young girl goes on an adventure with a Wooly Mammoth to the music of M83 and it all hangs together surprisingly well.